In response to the recent discovery that my “cupcake on a stick” idea has already been done, rather than be discouraged, I have used this awkward turn of events to propel my venture into confectionaries to brilliant new heights! 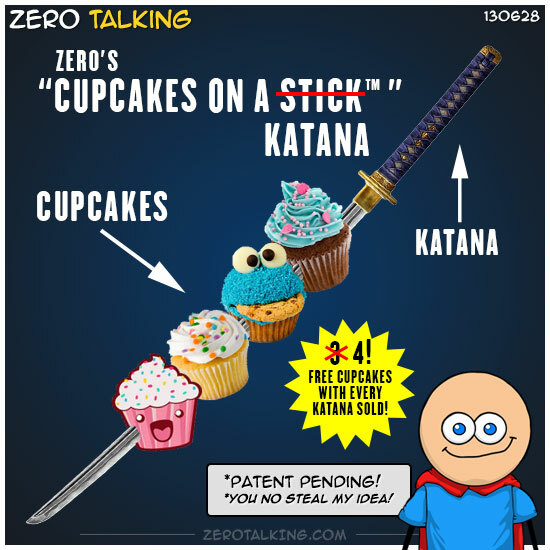 Zero’s Cupcakes on a Katana™! Now with 4 free cupcakes with every Katana sold!